This is Episode #2 of the Hey Nonny Book Club, featuring an appearance by author Lori Rader-Day leading a discussion of her new book, Under A Dark Sky. Your ticket includes a copy of the book and a drink ticket for a great Hey Nonny beer or wine – and of course a great book discussion! 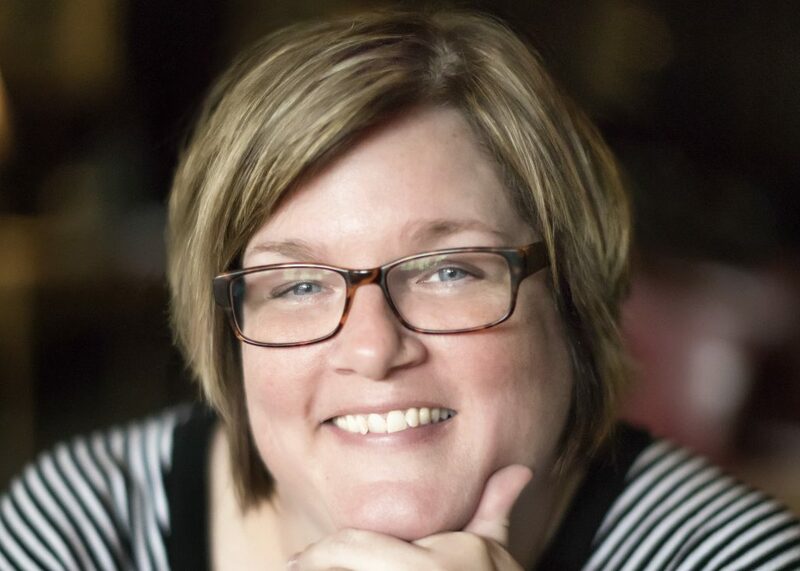 Lori Rader-Day is the critically acclaimed author of The Day I Died. Under A Dark Sky focuses on Eden Wallace. Since her husband died, Eden’s life has diminished down to a tiny pinprick, like a far-off star in the night sky. She doesn’t work, has given up on her love of photography, and is so plagued by night terrors that she can’t sleep without the lights on. When she finds paperwork in her husband’s effects indicating that he reserved a week at a dark sky park, she goes. But when she arrives at the park, the guest suite she thought was a private retreat is teeming with a group of twenty-somethings, all stuck in the orbit of their old college friendships. Horrified that her get-away has been taken over, Eden decides to head home the next day. But then a scream wakes the house in the middle of the night. One of the friends has been murdered. Now everyone—including Eden—is a suspect.